Whether you require routine or specialist treatments the Hadleigh Dental team are on hand to provide you with the complete experience. Dr Philip Wilson qualified from Guys Dental Hospital in 1989. After qualifying he joined Richard Hems at Hadleigh Dental Surgery where he became a senior partner in 1994. He was instrumental in the expansion of the practice from two to six surgeries and has just celebrated his 25th anniversary of working at the practice. Philip has been involved in the vocational training of newly qualified dentists. He has undertaken many post-graduate courses and keeps up to date with all aspects of modern dentistry. Philip enjoys the overall approach of general practice; providing high quality dental care in a friendly environment, encompassing all aspects of treatment including preventive, restorative and cosmetic dentistry. For several years Philip has worked alongside implant specialists, providing implant retained teeth for patients. He has completed an implantology course at Churchill College Cambridge in association with Cavendish House Implant Centre. Philip works closely with excellent and highly skilled dental laboratories such as Anthony Coe (denture technician) and Dental Applications (crown, bridge, veneer and implant technicians). Philip is married with two children. In his spare time he enjoys ski-ing and cycling. 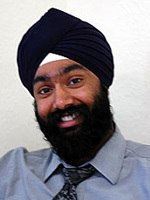 Dr Gurps Singh is a dental surgeon with a specialist interest in the field of Endodontics. He is an International Member of the American Association of Endodontics which delivers world class education and research at an excellent standard. Gurps graduated in from Guys Dental Hospital London and had extensive experience is Oral surgery and General Dentistry. He was awarded the Robert Woodhouse Prize in Oral Surgery and Oral Medicine along with the Maurice Wohl prize for General Dentistry. Gurps was nominated by Guy’s Dental Hospital for the University of London Gold Medal Award. He completed his Vocational Training working under Mark Davis in Capel St Mary, Suffolk. 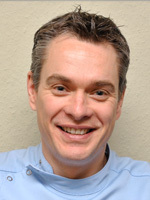 In 2006 He moved to the Hadleigh Dental Surgery to work in Private Practice for Richard Hems and Philip Wilson. In 2008 Gurps invested in the Practice and became a Senior Partner. Gurps has a passion for all restorative dentistry. He has successfully completed a Restorative Course in Advanced Aesthetic and Restorative Dentistry led by Basil Mizrahi from the Eastman Dental Institute. Gurps works under a Zeiss operating microscope which very few dentists have the opportunity to do so. Under the microscope predictable and precision dentistry can be implemented. Gurps travels frequently to the USA to attend post graduate teaching and seminars. In 2010 Gurps returned to his studies to Master his skill set and enrolled upon a Masters postgraduate degree in Clinical Endodontics. This postgraduate degree has given Gurps the knowledge and skills to treat the complex and advanced cases referred by other dental surgeons. Gurps is one of very few postgraduate endodontic surgeons who utilises 3D X rays to help diagnose and treat rare endodontic conditions. Hadleigh Dental has invested in a CBCT scanner so all treatments can be carried out in house. He takes satisfaction from providing treatment that gives a great outcome combined with a healthy conservative approach. He especially enjoys providing care to patients who had previous fears and anxiety related to dentistry. Gurps currently takes referrals from local dentists for root canal related problems. In his spare time he enjoys being with family and friends and currently helps to organise dental and medical camps in developing countries. Gurps has a commitment to education and teaching and has presented his thesis both nationally and internationally. He has been fortunate enough to have lectured in Europe and the USA. 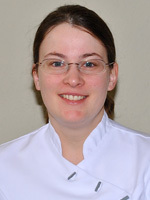 Having qualified from Sheffield Dental School Rachael joined the Practice in 1998. Rachael regularly studies at post graduate courses to keep up to date with all aspects of modern dentistry, helping her patients achieve a healthy, confident smile. Rachael enjoys providing quality dental care for people of all ages and is interested in all aspects of general restorative dentistry. Preventative care is a special interest with the aim to provide patients with the ability to maintain good oral health. In her spare time Rachael enjoys many outdoor activities including walking, cycling and canoeing.